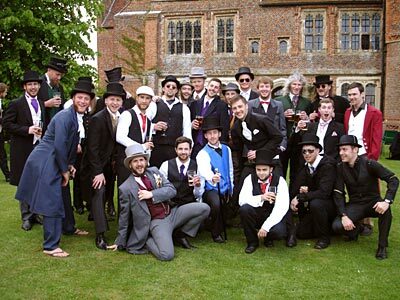 LIKE A GROUP of hirsute debutantes, the Essex Beardsmen have enjoyed an active social season. 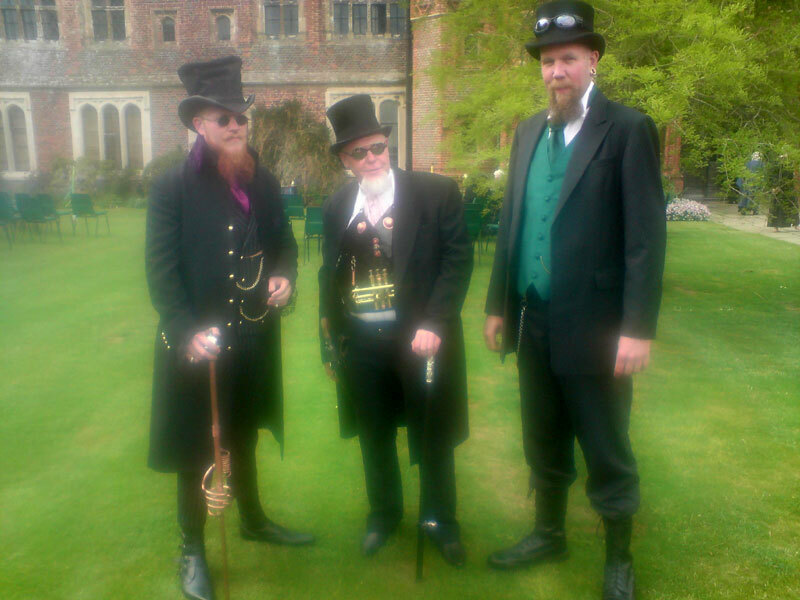 The summer commenced with the marriage of Essex Beardsman Henry Scragg to Miss Emily Allen, (God daughter of Essex Beardsman Charlie) on a fine Summer's day at Layer Marney Tower, Essex. 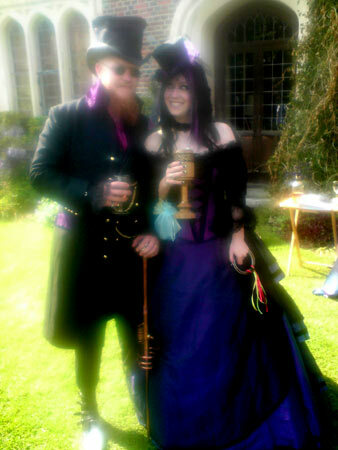 The day started with a moving Wiccan wedding ceremony on the lawns of the fine Tudor gatehouse, followed by an outdoor hog-roast and live music in the long gallery provided by the groom's father. 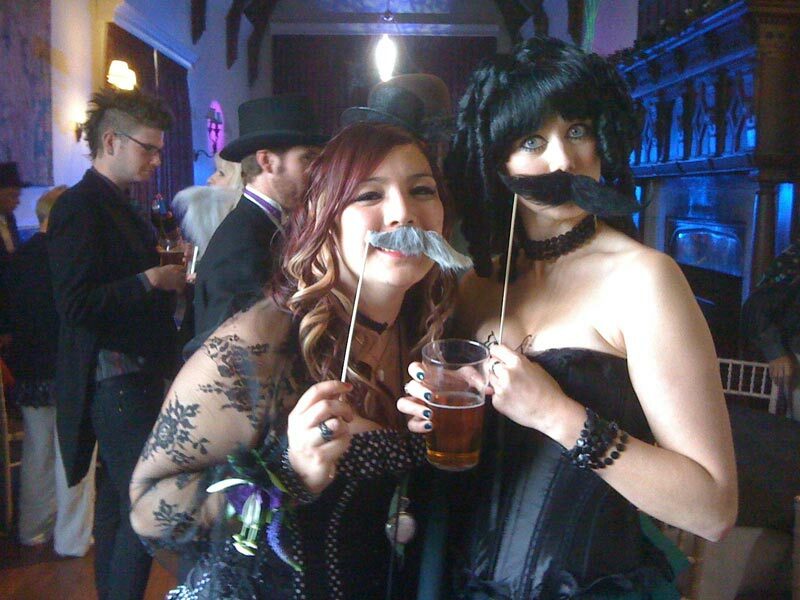 The dress code for the wedding was Victorian, Gothic and Steampunk, with strict instructions on the necessity of facial hair. 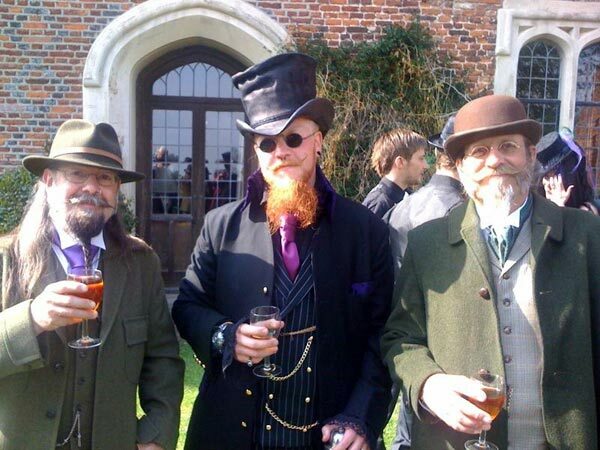 Following the heady rush of the wedding, a degree of relaxation was in order, and so unbeknownst to each other, the majority of the Essex Beardsmen headed to the Oyster Fair and Medieval Market at Colchester, to indulge in our shared passion for sharp things, mead, game burgers and traditional crafts. During the course of the enjoyable (but photo free) day, Andy and Amanda, Nigel and Liz, Frazer, Charlie and Mo found fellow TBBC Norfolk Thatch member Brian and partner (whose name we have shamefully forgotten, sorry) wandering amongst the stalls casting a keen eye over the haberdashers stall. Several fine purchases were made, of particular importance being the fine flagon of German mead for young Henry's birthday, with him being absent on his honeymoon. Several weeks passed, the realities of work interfering with our social calendar. However, sometimes work and pleasure can coexist, and for Beardsmen and Brewers, Charlie and Nigel, the Chelmsford beer festival was a necessary evil! 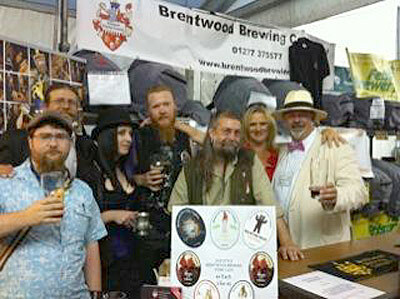 Having enjoyed the largesse of the trade session, it seemed only right and proper to invite the rest of the Essex Beardsmen, including our adopted Hertfordshire member, Guy, to an Evening of Ale Tasting. Jackie from Brentwood Brewery, and the oh so cute Nigel. For those who may have missed it, Frazer made his first national TV appearance the following day, on the first programme of ITV's celebrity panelled game show �Odd One In�, where The British Beard Club gained a new member from Frazer's fellow “suspects” in the line-up. 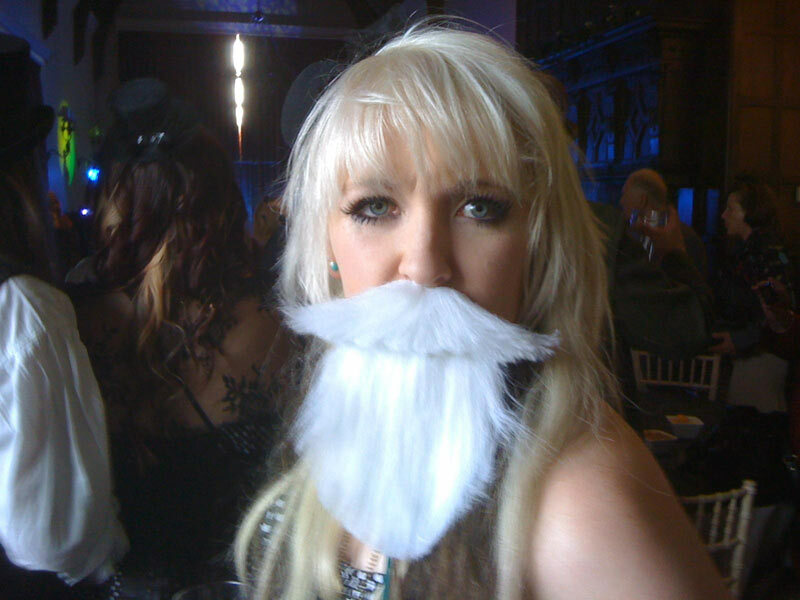 Further Essex Beardsmen activities will be reported on when they happen, or hopefully soon after. 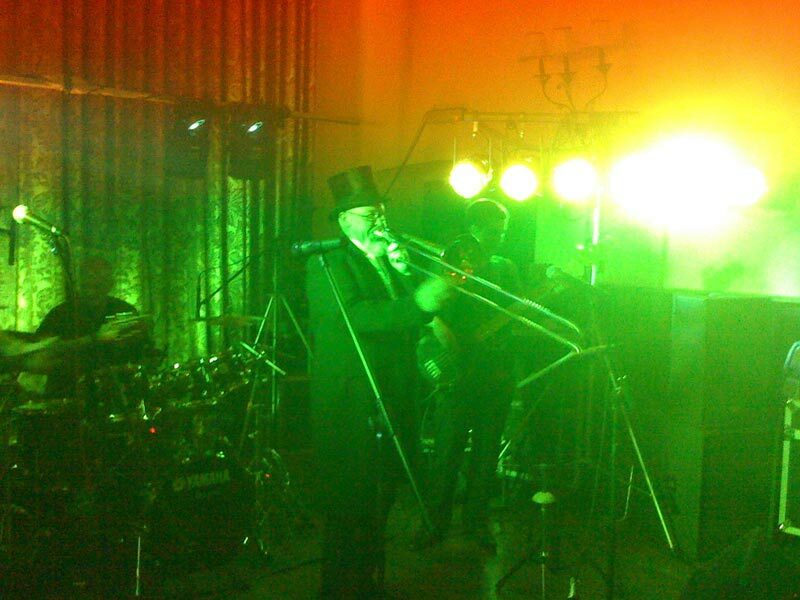 Here are some more photos taken at Emily and Henry's Wedding. 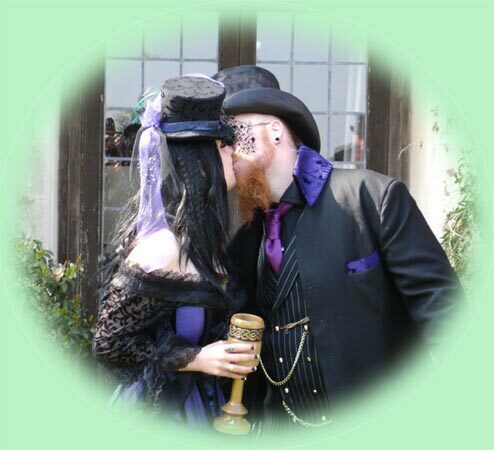 There are even more on their F*c*b**k Wedding page.